Several dozen activists campaigning against Germany’s official stance on Ukraine shouted ‘warmonger’ at their foreign minister during a public event in Berlin. The video of the politician’s furious rebuff went viral online. 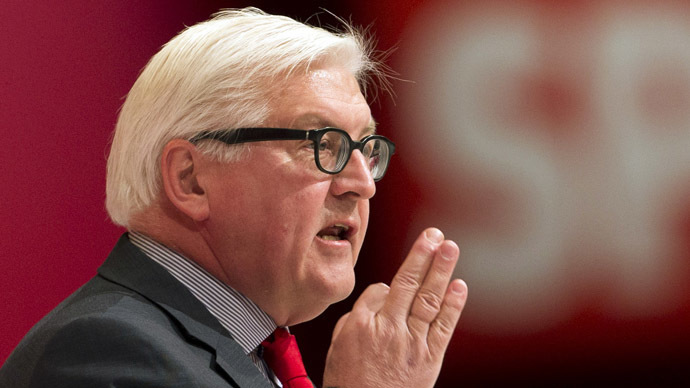 Foreign Minister Frank-Walter Steinmeier demonstrated unrestraint atypical of a German politician at a rally for the Social Democratic Party (SDP) in Berlin on Monday, when he was confronted by protesters carrying signs such as ‘Stop the Nazis in Ukraine’ and ‘Down with the EU and NATO’. Some of the placards described the pro-Western Kiev government, backed by Germany, as a “junta” and accused it of murdering its own people. 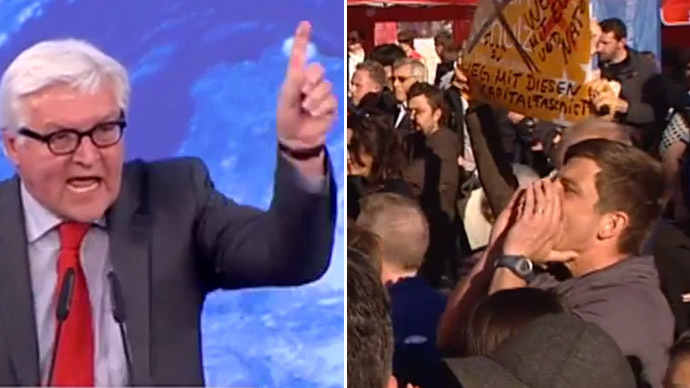 Protesters in the audience Steinmeier was addressing began to shout “warmonger” at him. 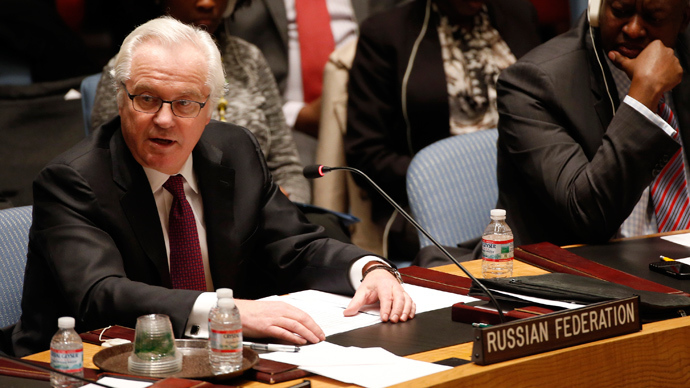 Thrown off balance, the foreign minister responded by screaming back. The video with the minister’s emotional rebuke of opponents has gone viral online and has by Wednesday been viewed by more than 600,000 people. Criticism of Germany’s policy towards Ukraine has also been voiced in more moderate ways by quite a number of the country’s acting and former politicians. 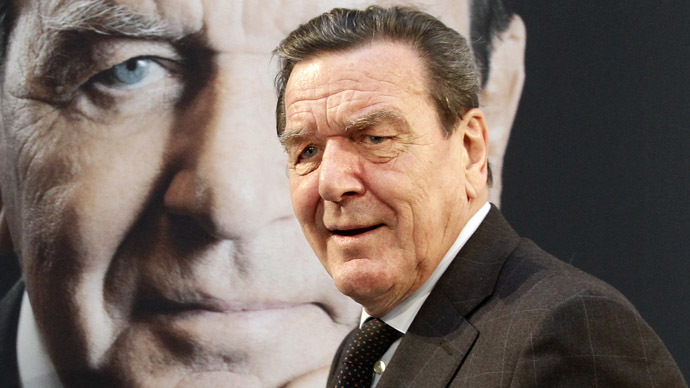 Former Chancellor Gerhard Schroeder laid the blame for the current crisis in Ukraine at European Union policy, saying the EU “ignored” Ukraine’s deep cultural division between traditionally pro-European western regions and Russia-leaning regions in the east. Another former chancellor, Helmut Schmidt, recently accused officials Brussels of “confronting Ukraine with the apparent necessity of having to choose between West and East." German Economy Minister and Vice-Chancellor Sigmar Gabriel made a similar comment, saying that “it was certainly not smart to create the impression in Ukraine that it had to decide between Russia and the EU." 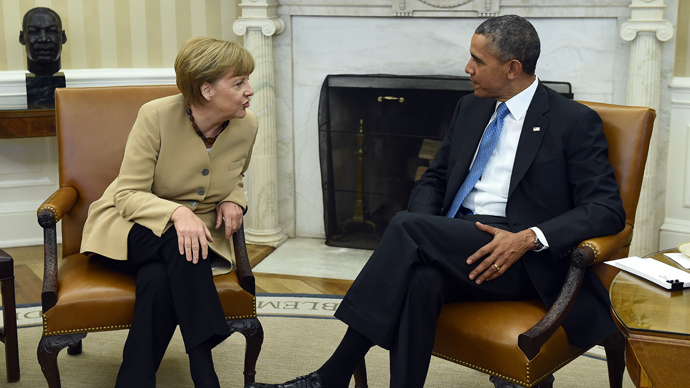 The German business community has meanwhile criticized the policy of sanctions targeted against Russia, anticipating it will result in significant losses for the German economy. A confidential letter to the German government, written by representatives of German-Russian Chamber of Foreign Trade and leaked by Reuters last week, warned of Russia potentially suspending or delaying its European projects and turning to Asia for closer business ties.